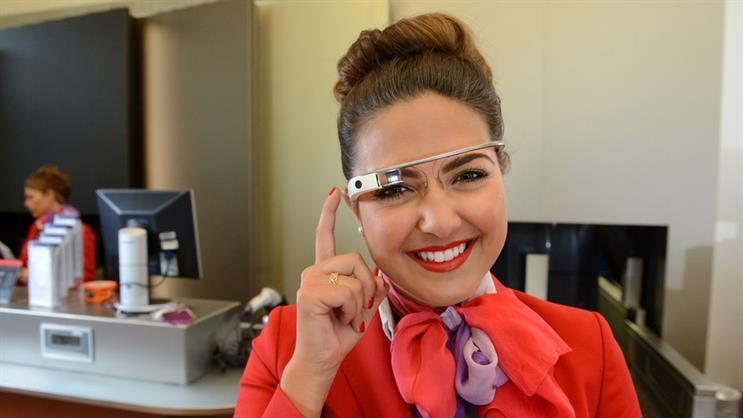 Virgin Atlantic staff are to don Google Glass wearable tech so that they can give customers a more personalised service, including greeting Upper Class passengers immediately by name. The six-week trial will have Upper Class Wing passengers greeted by staff as soon as they step out of their chauffeured limousines at Terminal 3, with the technology kicking off the check-in process. The technology will also enable staff to update passengers on information including flight details, weather reports and local events at their destination. Virgin said that in the future, the technology could enable staff to access greater levels of information about individual passengers, such as dietary requirements and drinks preferences. Virgin Atlantic is working with air transport tech specialist SITA to test how wearable tech can improve customer service. The airline is testing other new technology with its Upper Class customers, including Apple’s indoor positioning system iBeacon. The low-powered, low-cost Bluetooth technology notifies passengers via their iOS device about flight information. Dave Bulman, Virgin Atlantic’s director of IT, said: "By being the first in the industry to test how Google Glass and other wearable technology can improve customer experience, we are upholding Virgin Atlantic’s long tradition of shaking things up and putting innovation at the heart of the flying experience."